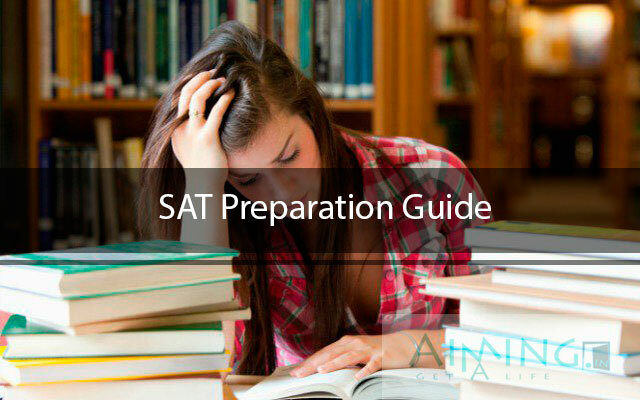 ABOUT THE SAT EXAM: SAT stands for Scholastic Assessment Test. Initially, it was called as Scholastic Aptitude Test and then changes to Scholastic Assignment Test. 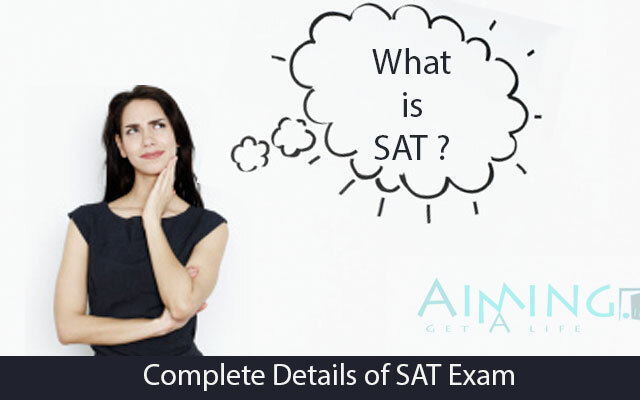 SAT is a paper based examination conducted by the College Board Organization in the United States. It is an entrance exam for undergraduate students to get appointed into college or university. SAT score will remain valid for Five years. 2 When Will the SAT Exam Conduct? 3 How many times SAT is held? The administrator of the SAT is College Board and it is an American Non-Profit Private Organization. It was founded on 22nd December 1899 as the College Entrance Examination Board. It was not organizing with a group of colleges but it offers a membership to college for admissions of students. It was located in 250 Vesey Street, New York City, United States. The SAT is one of the two admissions tests often required for admission to US universities and some other countries like Canada or Singapore. SAT 1 is reasoning test and SAT 2 is Subject test. From 1999, Gaston Caperton was the president of the College Board and he was replaced by David Coleman from 2012 onwards. It includes over 5,700 schools, 23,000 High Schools, 3,800 Colleges, Some Universities, and other educational organizations. It conducts various tests and programs and they are SAT / SAT subjective tests, PSAT/NMSQT, Advance Placement Program, College Level Examination Program, Accuplacer, and Springboard. The College Board pledges to the college that it gives a quality in all of his activities, programs, and services. When Will the SAT Exam Conduct? Mostly the SAT Exam dates and notifications will be released in the month of October, November, December, January, March, May and June. In March the test is available only in the US. For international students, it is better to take some gap between registration and exam. First, you have to register your name and details, providing genuine information will lead you more importance after the result of the exam. You can retake SAT examination if you aren’t satisfied with your present SAT score and highest of the both will be taken as a priority. How many times SAT is held? It is a worldwide exam conducted by the College Board. Basing upon the country the fee structure may vary and registration charges may applicable as per the test. SAT test – $ 45 + Non – US regional fee. SAT Test with Essay is – $ 57 + Non – US regional fee. Note: A late fee May applicable if you are paying after the registration deadline. It may addition of $20.00 to the total amount. Note: A Late fee May applicable if you are paying after the registration deadline and it is additional of $ 20.00. There is no eligibility criterion for SAT Test. It was an entrance exam taken for admissions into the colleges in the United States. The test was advised to take in high school or in India it is equivalent to +12. According to SAT, it is the right time to take the test in the age of intermediate age to admit in a good college or University. In United States, usually students take the exam in their junior or senior years of high school (grades 11th or 12th). These tests are held in different centers according to their country around the world wide. There is a policy in SAT TEST program for providing a fair and good opportunity to the student. There are some requirements while registration to the SAT. The students who are interested in study in famous university or college in the United States then he can take a SAT test. For taking the test initially you have to register you name and details in the College Board website, note that name should be entered as per the same in ID proof. We are requesting you to provide fair information about you and finally you have to provide a photo. If you cannot produce the photo then the registration is not valid. Download the registration form from the College Board website and fill the form. After filling the form, get the draft as directed and pack both in the envelope provided with the form. Send the envelope to the mail address: College Board SAT Program, Princeton, NJ 08541, USA. Credit card – Credit cards like American Express, Master Card, Visa, Etc. PayPal – you can pay through Pay Pal account from anywhere from the world. Other – It was nothing but Dollar Denominated Bank draft. 1. Current national ID of the country in which the test center is located. No other identification is accepted. MATHEMATICS 1. Problem-Solving and data analysis. 2. The Heart of Algebra. 3. Passport to advanced math. 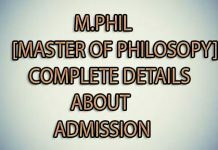 You can select the colleges of your wish before appearing to the exam, maximum of four Universities you can select as to report your score according to the College Board. 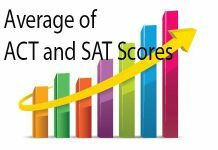 In SAT the Total scores range from 400-1600, in which separate score for verbal section (200-800) and a separate score for Mathematical section (200-800). For reporting more than four Universities you can charge additional of $ 6.50 each one. Important thing is you can apply to the universities without the SAT score. Evidence-based Reading & Writing Section. In this section, you have to focus on reading the passages and choose the answers as applicable. And some figures and tables are provided for typical passages and these passages are from different topics like classic work in the US, social science, chemistry, physics, and like some other topics. Note that some passages are paired with other passages. It is also a part of Evidence-based reading & writing section. In this section, we have to concentrate on reading the passage and finding the mistakes in the passage and finally fix them all. The test measures how much knowledge you have in you high school. All questions are multiple choice questions based on respective passages. It was a part of Evidence-based reading and writing section. 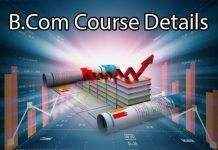 The above section measures the topic: Command on Evidence, Words in context, Analysis of history/social studies and science, expression of ideas, and Standard English conventions. The math section will cover all mathematics topics in high school and it has multiple choice questions, Grid-ins. It was mainly divided into two parts one of them is a calculator and another one is without a calculator. This tests mainly focuses on the heart of algebra, a passport to evidence math, problem solving and data analysis. In this, you test you can follow your own shortest procedure to solve the problem and it was useful to your college career. It is an optional section in the SAT exam and if you select the essay option then you can get an extra 50 minutes of time. It includes the topic involvement and argument to the given topic and different logical views presented by you. It was an analysis of reading, analysis, and writing. Our kind information is made practice before six months of the SAT test and we are not advisable for more attempts of the test. There are some websites you can make practice by SAT previous papers. Which State has the highest Average of ACT and SAT scores ?? ?